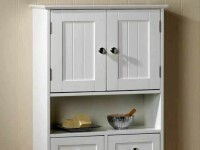 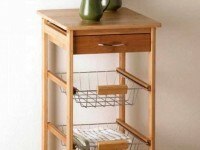 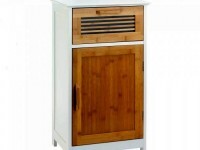 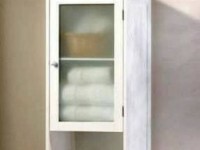 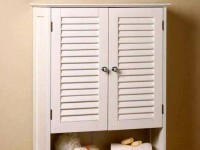 SHIPS FREE-Adding storage to your small space is easy with this slim and stylish wall cabinet. 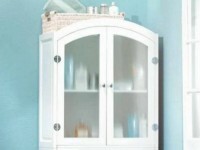 It features two doors with frosted glass and silvery pulls. 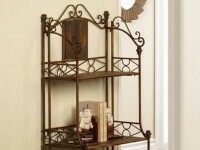 Below you will have three spaces to display necessities or accessories. 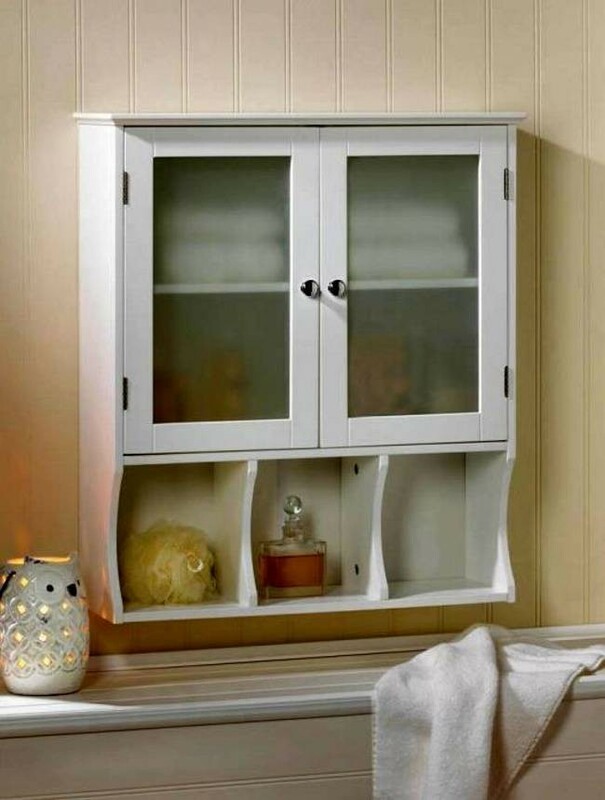 Perfect for your compact bathroom or kitchen.